On Thursday, Mar. 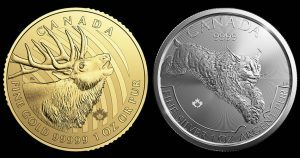 9, the Royal Canadian Mint announced the release of two bullion products — a silver coin depicting a leaping lynx and a gold coin showing a bugling elk. 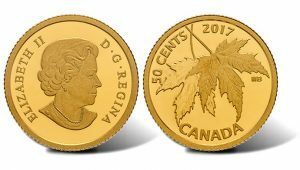 Two silver maple leafs adorn a new 50-cent gold coin now available from the Royal Canadian Mint. On Friday, Mar. 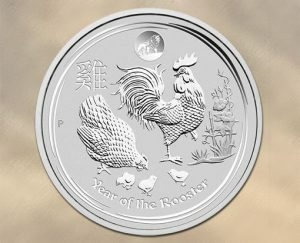 3, the Perth Mint of Australia announced the release of the 2017 Australian Lunar Year of the Rooster Silver Bullion Coin which features a miniature lion as a privy mark. 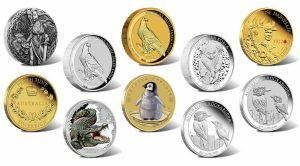 Norse Goddesses, koalas, kookaburras, and wedge-tailed eagles are a few of the subjects brought to coins this month from the Perth Mint of Australia. 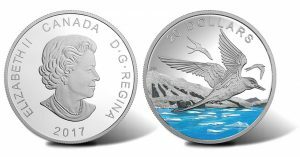 Arctic terns take flight in the newest release of the Royal Canadian Mint’s Glistening North Series with the 2017 $20 Arctic Tern Silver Coin. Each is produced from one ounce of 99.99% pure silver to proof quality, with a combined 7,500 allowed. Canada’s 150th anniversary is memorized on a unique collectible, the 2017 $3 Heart of Our Nation Silver Coin. 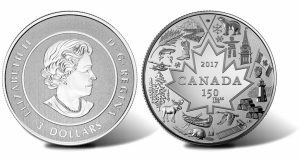 Featuring inspiring national symbols, the piece is the last issue from the Royal Canadian Mint’s "2017 Canada 150 Most Affordable Pure Silver 2-Coin Subscription." 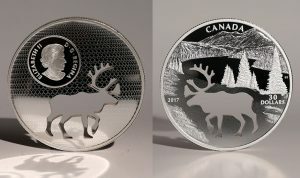 The Royal Canadian Mint introduced its Endangered Animal Cutout series of large-diameter coins with last week’s release of the 2017 $30 Woodland Caribou Cutout Silver Coin. 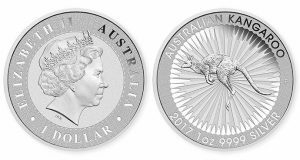 Demand jumped in January for Australian bullion coins, according to the latest round of Perth Mint sales figures. 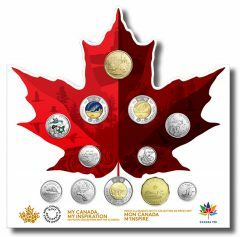 Canada’s 150th birthday is celebrated with a new collection of 12 coins from the Royal Canadian Mint. Enhancing its appeal, it includes the first circulation glow-in-the-dark coin. 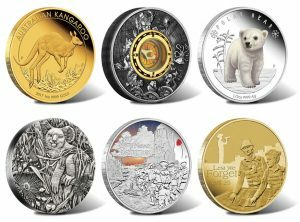 February finds new collector products from the Perth Mint of Australia that include antiqued coins with a central compass and a koala design in high relief.